Did you know how Polish people celebrate the last Thursday of February? They eat heaps of doughnuts! 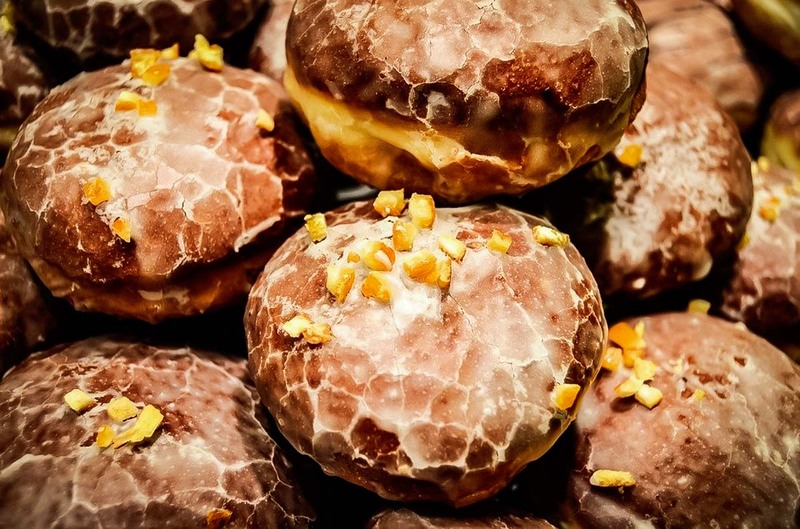 Yes, that’s true, Poles love their doughnuts 😉 It is not only a traditional Catholic Christian feast marking the last Thursday before Lent but is also associated with the celebration of Carnival! 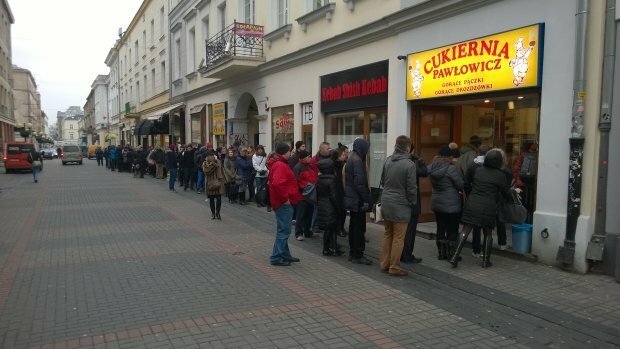 Fat Thursday is a literal translation of the name Tłusty Czwartek which can give you an outlook on how this day looks like 😉 People are getting out of their homes and work seeking for those delicious pączki. By the way, if you reading this while in Poland you also have to take part in the hunt 😉 When wandering around town, you will find a bakery, one thing you can be sure about is finding a picture like this below. Yes.. the line is long and there is only so many things you can do this day but that for sure should be part of your plan. After all, waiting for something amazing to happen makes it even more worth once you get what you craved for 😉 Remember to buy few of them, not just one. With different kinds of fillings you can get a variety and make out of it a real pączki tasting. 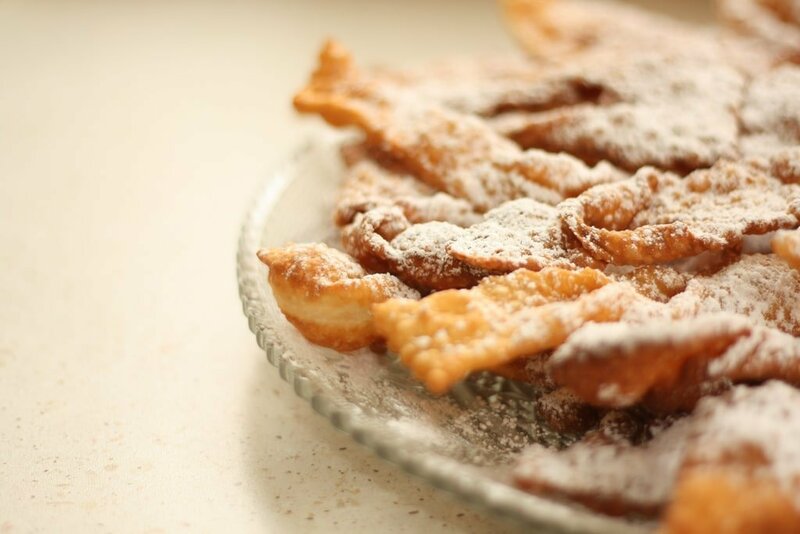 Don’t forget about getting faworki which is another type of pastry famous on that day. For those less fortunate who are not now in Poland, we recommend this very good recipe that should work out well for you (if you got some cooking skills ;)) If you are planning on coming to Poland any other time, not everything is lost! You can still find pączki in the bakeries pretty much everywhere. It is always a good idea to try them 😉 Below you can find some tasty photos. 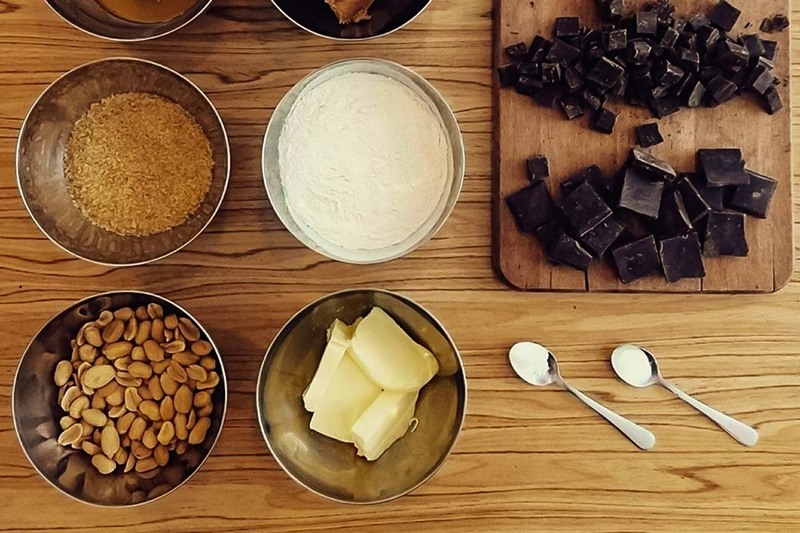 Would you like to try out your cooking skills?